The modern journalist is expected to know the ins and outs of all aspects of the trade. The ability to interview, write, photograph and edit is now mandatory in today’s industry, partly due to shrinking newsrooms and the reduction of journalists specializing in one field or another. Samantha Anderson is the editor of the Cloverdale Reporter, a small community paper in east Surrey that she runs on her own. A recent graduate of the University of Victoria, Anderson took over as editor of the Reporter only two weeks after walking across the stage at her convocation. Anderson has been in the job since late 2016 and says she couldn’t be happier. She thinks the decision to work at a one-person community paper is the ideal entry point for any young reporter starting out in the industry. Anderson works out of a small office off the main strip in Cloverdale, and has her door open to the public at all times. She claims this accessibility to her readers is what really helps the paper and the community get along. Small community papers run by one-person teams are becoming more prevalent as larger outlets lose the resources to cover local stories on a regular basis. Editors taking over these community papers are expected to handle all aspects of production— from the early stages of planning all the way through to publication. These one-person teams—where the paper’s reporter, editor, photographer and designer are all the same person—offer a glimpse into the journalism industry’s potential future. 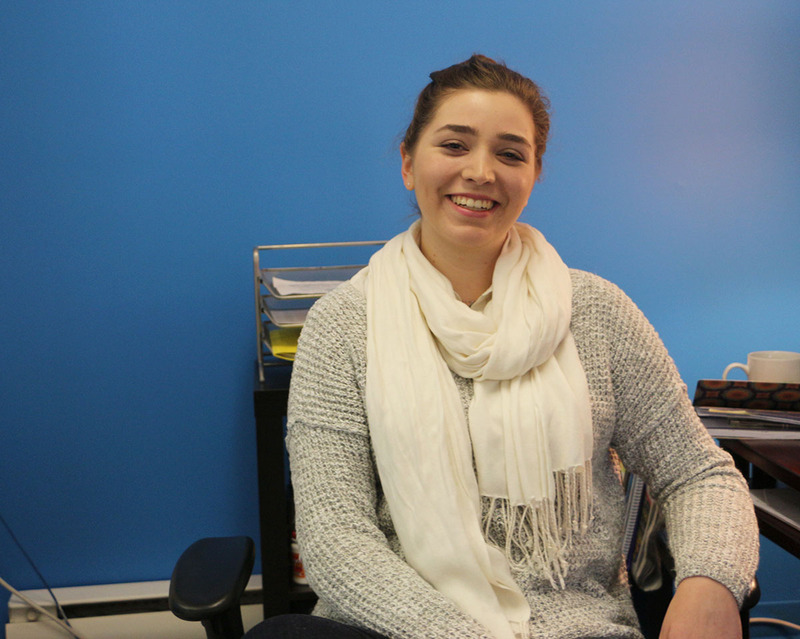 Anderson isn’t the only recent journalism graduate starting out their career on their own. James Smith is the editor and sole employee of the North Delta Reporter, a Black Press affiliate created for the community of North Delta in 2016. Smith says it’s been a great experience getting to know the tight-knit circle in North Delta, even if many aren’t yet aware of the paper’s existence. He says it’s tough trying to run it all by himself, but he’s starting to get the hang of things. “When I first started with the paper it was almost a seven-day-a-week job—there was just so much to do. But now I’ve kind of got it down a lot closer to a regular Monday-to-Friday, eight-hour-day kind of job,” he says. Veteran journalists are also getting in on one-person papers, such as publicist Barbara Roden who runs the Ashcroft Cache Creek Journal in B.C.’s interior. Roden studied journalism at what used to be Richmond’s Kwantlen College in the 1980s. After graduation, Roden, along with her husband, ran a small publishing company for a number of years before she took over the Journal. Roden is also a member of Ashcroft’s city council, although she says it’s not an uncommon occurrence for someone in a small town like Ashcroft to be wearing multiple hats, and there’s a fine line she must walk between being a civic employee and an objective journalist. She says that even with the journalism industry currently going through hard times, small community papers aren’t at risk. According to Anderson, small papers have the upper hand on larger publications solely because they’re constantly interacting with their readers and are therefore able to earn their trust. “You can’t become a community’s voice without having that good interpersonal relationship—that day-to-day waving hi to people on the street or talking to the people that walk through your office door. It’s essential. You can’t just walk into the Vancouver Sun and into the editor’s office, whereas somewhere like the Cloverdale Reporter, it’s essential to have your door open all the time,” says Anderson.